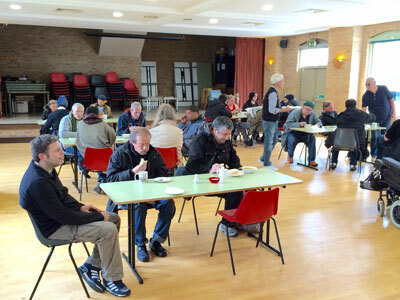 Pack Up was opened in St James’ Church Hall on the corner of Packington Street and Prebend Street in October 2015 as a sign of our commitment to members of the street community and all those who depend on voluntary agencies for food and friendship. Doors open at 12noon every Monday lunchtime throughout the year (including Bank Holidays). 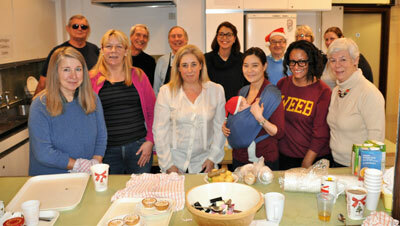 Pack Up offers homemade soup, a selection of fresh sandwiches, a desert, tea and coffee to anyone who wishes to come. Everybody and anybody is welcome. Volunteers for the project come from all walks of life and from right across the area. Financial support is given by our local residents association, by schools as well as by St James’ Church.